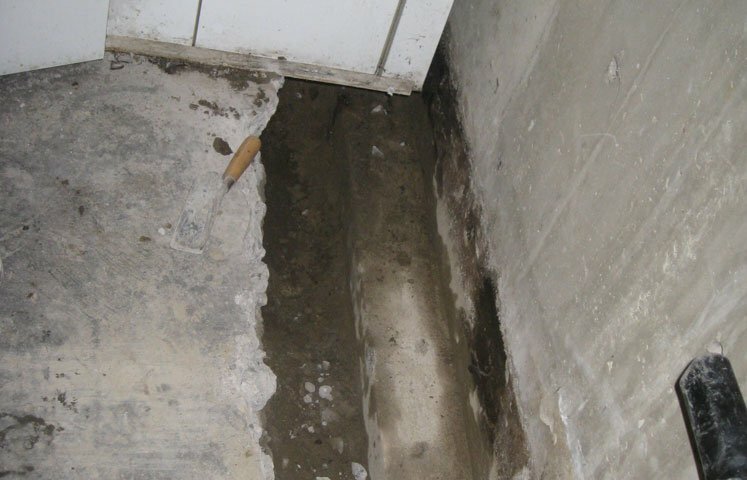 Abalon has been repairing commercial foundations in the Calgary and surrounding areas since 1987. Abalon’s team of experts ensure your project will be diagnosed, estimated and executed on time, on budget and to your satisfaction. Abalon warranties all work. Abalon has successfully repaired parking lots, retaining walls, foundation walls in all different types of structures. Abalon solves problems that have been missed diagnosed. With our experience we can provide you with foundation solutions for your commercial construction projects. Large, small and one of a kind type projects, we do it all. We work diligently to bring you the latest in technology and up to date engineered repairs. Abalon provides innovative solutions within our industry. We stay up to date with the new available techniques through conferences and seminars on an annual basis. Abalon integrates some of the latest technology into our projects which ensures quality, innovative procedures and repairs. I own an apartment building with major structural damage to the foundation, do I need an Engineer to see this before calling Abalon? No. Abalon works in conjunction with an engineering company designing solutions to difficult structural repairs. Abalon provides engineering, drawings and permits for all its commercial repairs. We take care of all those details. I own a factory that operates 12 hours a day. Do I need to shut down my business for these repairs? No. The factory does not need to be closed during working hours. In most cases we can work around your schedule. Nights, evenings, weekends, what-ever is required. Abalon has repaired commercial properties for the last 30 years in the Calgary and surrounding areas. We will provide a complete plan of repair and execution. Trust Abalon to complete your project on time, on budget and to your complete satisfaction. Abalon has worked on hospitals, schools, churches, community buildings, government buildings and a variety of commercial repair projects. Interior tile (French drain/trench) was used. For this commercial repair project, the work was done at night so that the business could continue to operate. Two sump pumps were needed on this commercial repair project because the repair areas were at two opposites ends of the basement. This commercial repair was particularly challenging because of the many obstacles in our way. The kegs of beer had to stay working at all times on this commercial repair. Foundation wrap was used on the walls to capture water coming in through the walls. This sump pump has a 3/4 inch plywood cover over the plastic lid to add strength at the base of the conveyer system. Concrete was poured on the floor repair over the interior tile (French drain/trench). The cooler room on this commercial repair project is now nice and dry.